3 Simple Secrets to the Best Hot Dog Ever - So Festive! 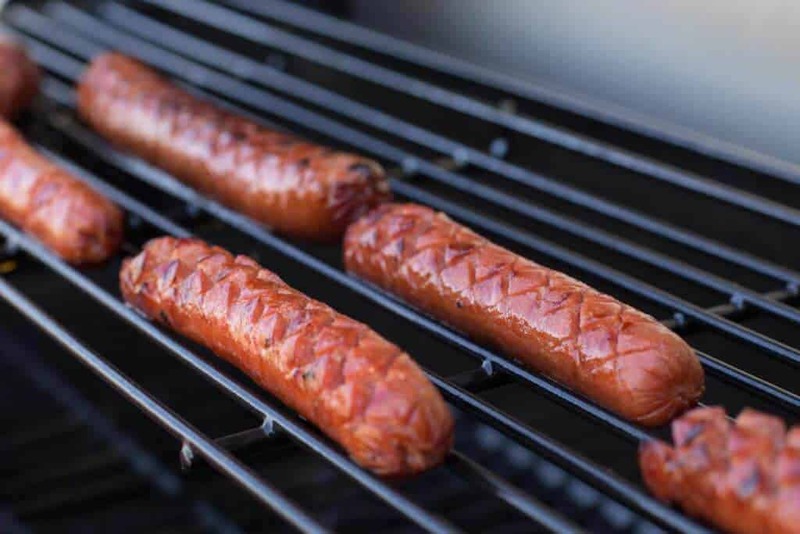 3 secrets to making the best tasting hot dog around! Tomorrow, July 19th, is National Hot Dog Day! Up until a few years ago, this would not have been a day I would want to celebrate. I absolutely hated hot dogs. But now I know there’s a better way to eat them and I finally discovered how to make them taste yummy. Today I’m going to tell you our secrets to making hot dogs actually taste good! The first step to an amazing hot dog is to have an amazing hot dog. No matter what special sauces or condiments or toppings you have on your hot dog, if they are still the really cheep beef/pork/chicken combo hot dogs, you won’t get an amazing one. I know the price is hard to beat, but if I’m going to eat a hot dog, I’ll splurge to make it a bit healthier and more pure by purchasing all beef hot dogs. This has been a game changer! Our favorite hot dog brands include: Kirkland 100% beef hot dogs (from Costco), Nathan’s, or Hebrew Nationals. My husband and I love also Costco’s Polish dogs that you can find in the refrigerated section if you like a more flavorful hot dog. Second, you’ve got to cut your hot dogs. This extra step only takes a few minutes and makes them taste so much better. Ever since we’ve eaten hot dogs from J Dawgs (you Utah people might know what I’m talking about! ), my husband has been hand slicing our hot dogs to make the really cool criss-cross cuts before we cook them. I’m convinced this cutting is key to a delicious dog. The cutting makes the insides get cooked through and almost become carmelized. The added texture is a bonus and makes them not taste mushy. A few months ago, I realized that SlotDog is simpler way to make the criss-cross cuts for you! And guess what? I did something I’ve never done before and reached out to the company to see if I could review their product. Since we’ve already been cutting them this way for years, I thought having something to make the process quicker and simpler might be worth it. Turns out I was right. I was thrilled that the SlotDog were so easy to use that even I could do it! Usually, my husband is the designated hot dog cutter. 😉 I cut up all of our hot dogs in a matter of minutes. They were ready for the grill much quicker than cutting by hand. P.S. If you’re looking for a Father’s Day gift idea and you know a guy who loves hot dogs, gift him a SLOTDOG! High-Que, the company that makes SlotDog was kind enough to send a few extras that I’ll be giving away to 2 lucky readers. Details at the end of this post! ^Just look at the way those babies are getting all cooked up. Mmmm! Finally, you’ll need special sauce to take those hot dogs from good to amazing! J Dawgs made this special sauce popular, but we were so happy to find a copycat recipe that tastes just as good. Simply drizzle this special sauce over your cooked hot dog for a unique flavor. No additional ketchup or mustard required. However, I highly recommend adding dill pickles and chopped onions! So Let’s Recap how to make THE BEST HOT DOG! Chop up some onions and slice dill pickles. Make a big batch of Hot Dog Special Sauce (recipe below.) You can store it in a condiment bottle like this one or pick one up at a kitchen supply store. Grill or cook on a campfire. Once your hot dog is cooked, top with onions, pickles, and the hot dog special sauce. Eat the best hot dog of your life!! 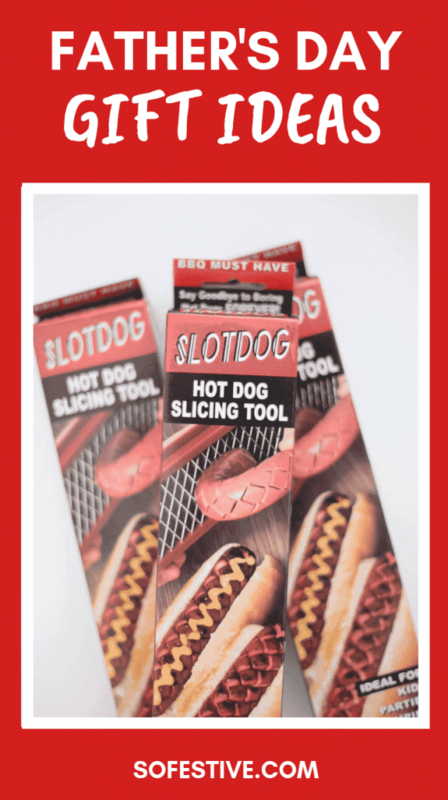 If you got a guy in your life who loves hot dogs, gift him a SlotDog for Father’s Day! Mix all ingredients into a saucepan. Bring to a boil. Then reduce heat to low and simmer for 5 minutes. Be sure to stir frequently. Want to win a SlotDog and change the way you eat a hot dog? Head over to my Instagram to enter to win 1 of 2 SlotDog cutters. Giveaway ends at 8:00 pm MST Wednesday, July 19th. Only US entries are accepted.